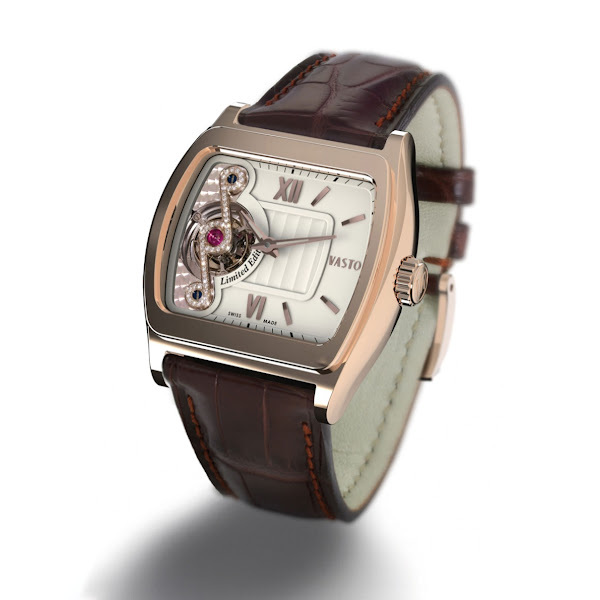 Vasto composes a new melody with its Secolo Tourbillon. With a maestro's hand, the brand has written a variation on a much-coveted theme to the sound of the Secolo collection. The case adopts the softer, more rounded contours of a cushion form. The dial opts for greater sobriety, classicism even, with its gold-toned hourmarkers and Roman numerals. But aficionados can rest assured: the tourbillon at 9 o'clock continues to add a brilliant note, with a treble clef set with 50 diamonds. One piece only.